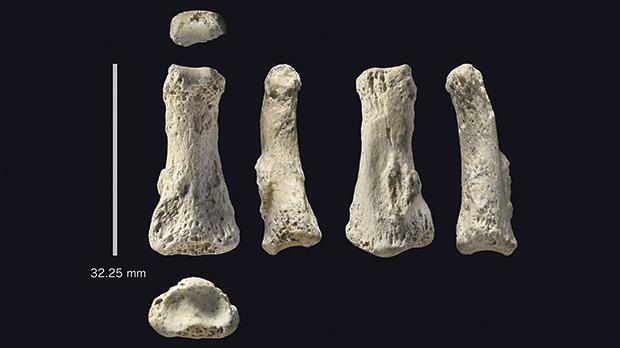 Researchers conducting archaeological fieldwork in the Nefud Desert of Saudi Arabia have discovered a fossilised finger bone of an early member of Homo sapiens. The discovery is the oldest directly dated Homo sapiens fossil outside of Africa and the immediately adjacent Levant, and indicates that early dispersals into Eurasia were more expansive than previously thought. Prior to this discovery, it was thought that early dispersals into Eurasia were unsuccessful and remained restricted to the Mediterranean forests of the Levant, on the doorstep of Africa. Maltese archaeologist Eleanor Scerri formed part of the team from the Max Planck Institute for the Science of Human History of Germany that led the project. “It is an extremely exciting find,” enthused Dr Scerri. 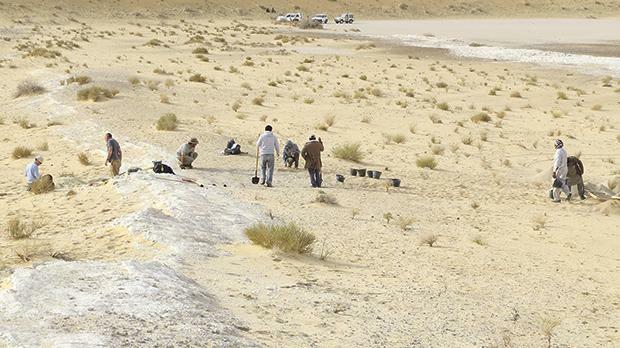 The results of the study, published in Nature Ecology and Evolution, detail the discovery made at the site of Al Wusta, an ancient fresh-water lake located in what is now the hyper-arid Nefud Desert. Numerous animal fossils, including those of hippopotamus and tiny fresh water snails were found, as well as abundant stone tools made by humans. There was a well preserved and small fossil, just 3.2cm long, which was immediately recognised as a human finger bone. “From satellite pictures we identified the site as featuring ancient lake sediments. This was on January 10, 2016. When we got there, we found that the ground was absolutely littered with animal fossils on the surface and eroding out of sediments. The human finger bone we found was one of these. We also found a lot of associated archaeology in the form of stone tools, which I analysed for the paper,” said Dr Scerri, an expert on stone tools. 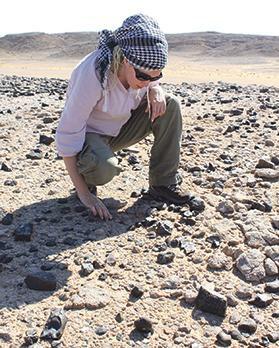 Eleanor Scerri at work on the Al Wusta site. Dr Scerri particularly specialises in stone tool technology and its relationship with the environment and human behaviour, within the context of human origins and our species’ earliest dispersals. This includes trying to understand the articulation between archaeological, fossil, environmental and genetic data. The finger bone was scanned in three dimensions and its shape compared to various other finger bones, both of recent Homo sapiens individuals and bones from other species of primates and other forms of early humans, such as Neanderthals. The results conclusively showed that the bone, the first ancient human fossil found in Arabia, belonged to our own species. Using a technique called uranium series dating, a laser was used to make microscopic holes in the fossil and measure the ratio between tiny traces of radioactive elements. These ratios revealed that the fossil was 88,000 years old. But the work does not stop there. “We are continuing to work at a number of sites in the Nefud Desert where the site of Al Wusta is located. We are submitting a number of papers reporting even more ancient finds in this region and providing more information on the environmental context,” said Dr Scerri. As a core research associate of the Palaeodeserts Projects at the Max Planck Institute, Dr Scerri has been conducting research in Saudi Arabia with European Research Council funding since 2012. She has also published a number of papers on the work in this area. Dr Scerri, who is a British Academy postdoctoral fellow at the University of Oxford in the UK, also conducts her own projects in West Africa and North Africa and hopes to be starting a new project in Malta soon.